To all you Handheld gamers in the US, what lucky souls you are! Nintendo America have tweeted on their official Twitter account that Gamestop will exclusively stock a all new type of Nintendo 2DS XL that will make Zelda fans salivate. It is of course the New Nintendo 2DS XL Hylian Shield Edition. The New Nintendo 2DS XL Hylian Shield Edition will hit Gamestop stores on July 2nd. It will come bundled with The Legend Of Zelda: A Link between Worlds pre-installed on the console. There is no news about whether it will be available for pre-order but it if you do want to get your hands on it, it will set you back $159.99. 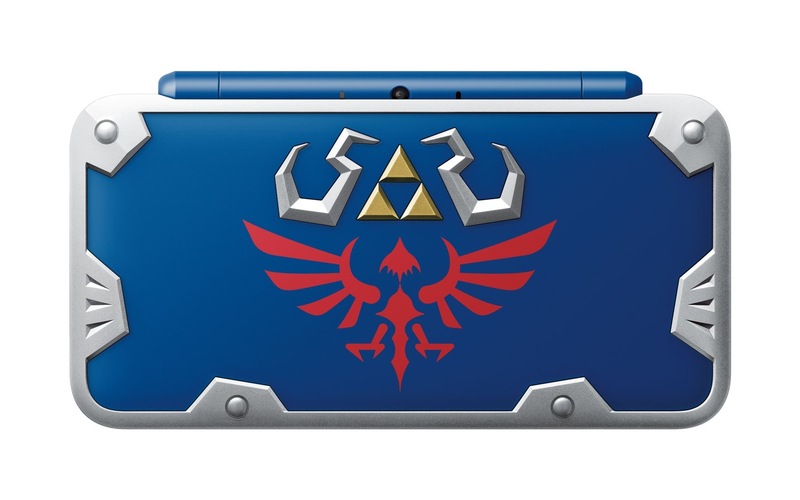 I have never had any interest in the the Nintendo 3DS or 2DS but I certainly will feel jealous if the Nintendo 2DS XL Hylian Shield Edition does not come to Europe. If it did, I would give up both of my legs just to get my hands on it. Sure, the saying is “An arm and a leg” but I would need both my arms and hands to play it. If you would like to see full size images of the New Nintendo 2DS XL Hylian Shield Edition, click on the thumbnails below. It was only a week or so ago that Nintendo announced 2 new Nintendo 2DS XL bundles for Europe, along with three new additions to the Nintendo Selects range for 3DS. The 2 new bundles come with either Mario Kart 7 or Tamodachi Life pre-installed but I know what I would certainly prefer. Again, I really hope the 2DS XL Hylian Shield Edition makes it’s way over to Europe, because Gamestop are not big fans of International shipping.